Made of iron and electric circuits, a robot’s life force is electricity. Robots are cold to the touch, but humans have never entirely dismissed the idea that there might be a warm heart dwelling inside these robots. Is it possible for a robot to have a heart? It is exactly because there is no answer to that question that the coexistence of warm-blooded humans and robots, with their cold and heart mechanical bodies, is a touching reality. 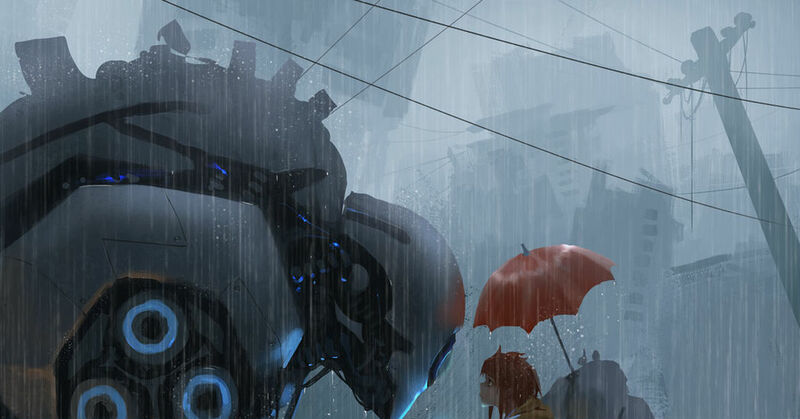 This time we’re featuring illustrations of robots and humans. Enjoy!